Corsair has been on the list of top computer peripheral producers for more than two decades. In this time, they have increased their customers at a rapid pace. The main reason behind this has been the quality that it provides, while remaining at an economical price that is a bit lower than most of the other brands available in the market. Corsair was previously famous for their great looking computer casing, but that time is long gone and now Corsair has become famous for its great gaming peripherals. In gaming peripherals, the most famous product from corsair are the gaming mice. 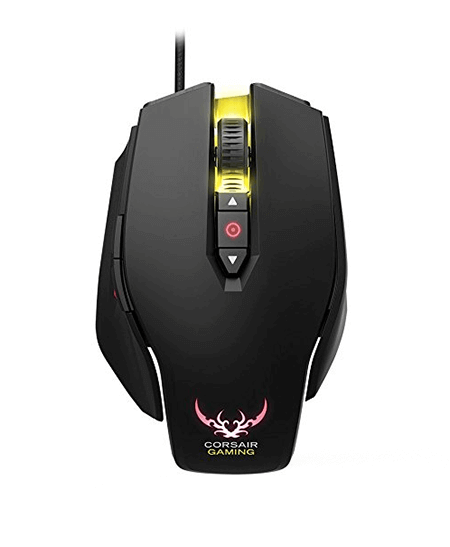 It produces all sorts of mice from cheap gaming mice to highly professional gaming mice that have hefty price tags. The mouse that I’m going to review today is the Corsair Gaming M65 gaming laser mouse. 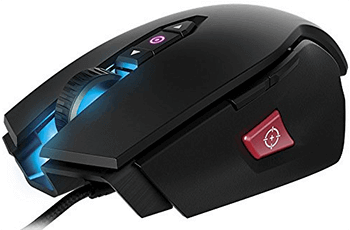 This is one of the best FPS gaming mouse available on the market, and it has almost everything that a gamer needs.The best thing about this gaming mouse is that it is extremely light weight. The reason behind this is the strong yet light aluminum frame. This frame makes it really durable and gives it the strength to handle some abuse from its gamers. On the bottom there are detachable weights that offer full customization according to a gamers requirement. This mouse is built for ultimate FPS gaming. The sensor has 8,200 DPI sensitivity, which means that it can be moved with the highest possible precision on larger screens. On the side there is a dedicated button for sniper mode. This button automatically decreases the DPI of the mouse to give the proper sensitivity, which is required for aiming. There are a lot of lighting options present in this mouse. You can easily choose from the 16.8 Million colors that can be set in three different zones on the mouse. The Corsair Gaming M65 gaming mouse comes with great software that allows all types of customization, ranging from the colors of the lights to sensitivity and custom button functionalities. All you need to do is get this mouse and after that install a simple software. The mouse comes with a full guide with all sorts of details related to installation and configuration of the software and drivers. Almost anyone can easily set up this amazing mouse within a few minutes and enjoy gaming to the fullest. Personally for me, the Corsair Gaming M65 is really comfortable to hold. Most of the gamers will find it ideal for their long gaming sessions in which there is not enough resting time. 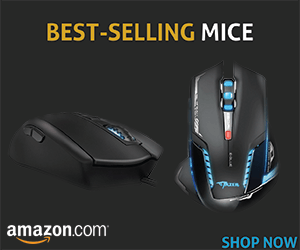 The mouse is an amazing one for all types of gamers so just buy it and have fun with it in all sorts of FPS games.